Well here we are again, at the start of the summer and festival season is upon us once again! 2016 has been a crazy year, full of change, instability and uncertainty. It's great to see festivals in Croatia becoming increasingly popular, and rightly so too, it's such a beautiful place, perfect for a holiday experience. With so much choice it's great to see SUNceBEAT 7 on the line up, that absolutely stands out as an amazing festival this year! 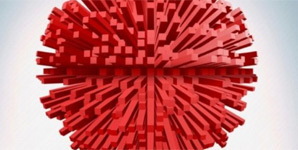 This year's event takes place from 20th to 27th July and for anyone with a love of house music, hip hop, jazz fusion and/or soul should partake in this year's event! With a legendary line up in the stunning location of Tisno, it's looking like a certain winner this summer. Suncebeat was created seven years ago from the creators of Southport Weekender. Croatia seemed like the perfect place for the Southport Weekender family to relocate. The truth is it was rare to get a full weekend of sunshine at SPW, everyone wished for it, but the timing of the event in the UK, rarely delivered on that hope, however it's a very different story at Suncebeat! 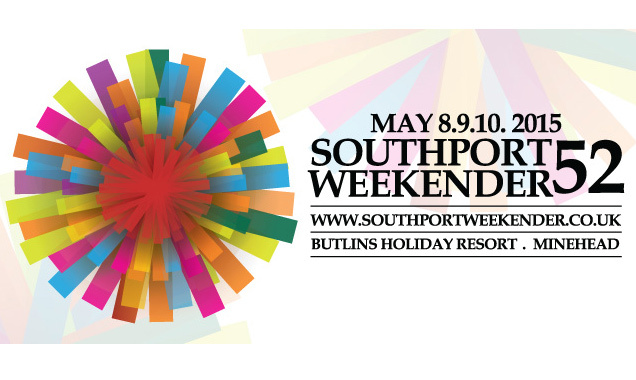 Southport Weekender 52 follows one the best ever event in its prolific 28 year history. Everything about last year's SPW 50, the amazing artists like Chaka Khan with Incognito, the fantastic DJs like Carl Cox and Derrick Carter and the amazing Southport veterans, mixed with the brilliant Southport Weekender crowd, just took the event to another level. 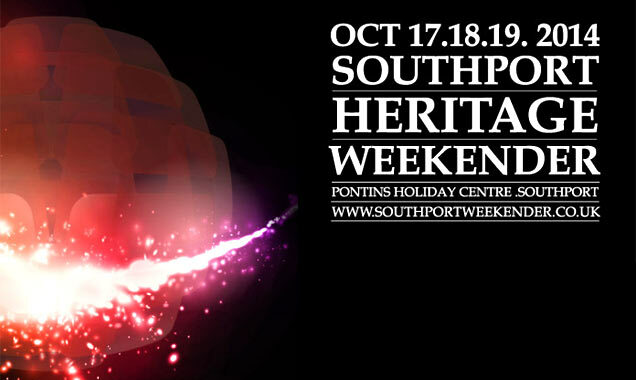 So it's with regret that we have to convey that news that SPW 52 will be the last ever Southport Weekender. It was always a possibility that many veterans who so loyally booked a place at SPW (the friendliest dance festival in the world) may move on after the 50th event and this seems to be the reality, however the line-up is not at fault this year. SPW 52 still delivers the customary legendary line up, for example Masters at Work, Louie Vega and Kenny Dope playing in the Powerhouse, Kerri Chandler and Chez Damier (back to back) and the grand finale on Sunday including David Morales, Tony Humphries and another set from legendary Louie Vega. Other great innovators and upcoming artists, such as Dennis Ferrer, Richy Ahmed, Black Coffee, Culoe de Song, Sean McCabe and Jonny Miller, will also be playing in the Powerhouse, certainly ending this amazing space in style! The fabulous sound quality, amazing visuals and, most importantly the atmosphere, will produce quite a few tears on Sunday May 10th. It's going to be emotional. Southport Weekender has always mastered the delivery of soul and true heart connection to its attendees and SPW 52 is no exception, with Grammy award winning Lalah Hathaway, super cool Peven Everett, the legend that is Jocelyn Brown, Tony Remy and Reel People Music Sound System featuring Tony Momrelle and Portia Monique, Swindle, the fantastic Tortured Soul, Southport legend Shaun Escoffery, The Rebrith, Michael Watford, and rising superstar Jarrod Lawson; truly expect nothing but the best and prepare to be dazzled. As 2014 draws to an end it's staggering to think how many Southport Weekender events I've been to this year! After going to Camelot, it seemed just a wink away and remarkably back to the awesome sound system of the Powerhouse at Pontins! I had to go back for one final fling and my decision to return was made all the more easier by the immense line-up. It's a bit frustrating for me writing this review as I only attended Friday night and didn't get the full juice of the Weekender. I missed so many amazing opportunities but - even though my time was cut short - I still captured a dose of soul. There's no doubt it was great to go back to Pontins. Seeing the layout, the Powerhouse room again and going to the beach in the morning was a real welcome return. Standing in the Funkbase remembering Guru's gig there was a beautiful reminder of great times and how much we've grown. It was fortunate to remember all that have contributed to this evolution of music, unity and dance and to shed a tear for those that are no longer here with us. It was a welcome relief to be able to get some sleep in the chalets, a clear progression accepted from Minehead, as at previous Southport Weekender events at Pontins, sleep would certainly be a challenge! In fact comparing the Pontins to Minehead it was pretty obvious who was the winner, proving the gamble paid off. 2014 has been a stand-out year for Southport Weekender. I'm sure any long standing promoter can empathise that dealing with the changing economic climate has been challenging, therefore it's a real achievement to create 4 events in one year. There was a historic Southport Weekender 50th at Butlins in Minehead, followed by a brilliant Suncebeat 5 establishing this event as one of the best parties in wonderful Croatia, on to new addition Camelot in Chorley Lancashire, and later ending with a final fling back at Pontins in Southport for the Southport Heritage Weekender. The quality music, the line up and passion of the resident DJs continues Southport Weekender's notable reputation and attracts so many outstanding artists, DJs and musicians each year; not forgetting the faithful Southport Weekender punters, whose devotion and love for soulful music keeps this pulse alive and continues a desire to create more events. So how did the first Camelot fare against the stand out moments of 2014? It was surreal, but felt like good timing to be going to a party still feeling the rays of the summer sunshine, while still noticing the dip change of seasons. In fact, there were a few moments during Camelot that brought flashbacks of being back in Croatia and at Pontins! For some reason, dancing to DJ Bigger at 7pm at Camelot felt like it was 5am on a Saturday at a Pontins Weekender and the Powerhouse reminded me of being in Barbarellas in Petrachane at Suncebeat. 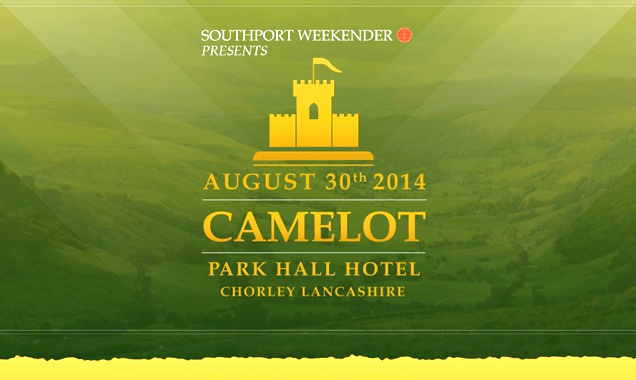 It was, unsurprisingly, all very familiar; it's always a family affair with any Southport Weekender event and Camelot was no exception. 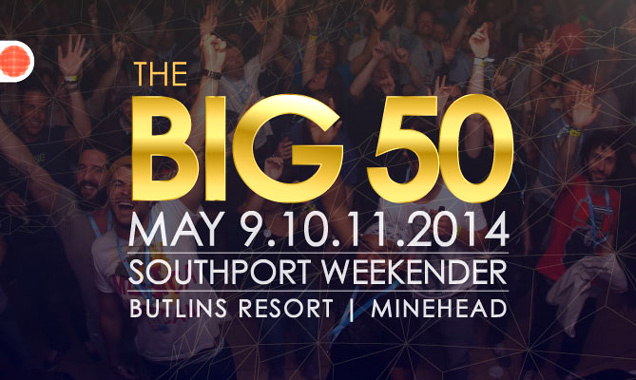 There's no doubt 2014 is turning into an epic year for Southport Weekender. The 50th Weekender at Butlins in Minehead in May was truly legendary and all the comments regarding the 5th Suncebeat in Croatia this year have been reported as the best so far. Seemingly, Southport Weekender can't do any wrong with their unique blend of good vibrations and serious love for soul, jazz/funk fusion, hip hop and house music that keeps a loyal crowd of punters eager for another dose each year. Fortunately for both those who haven't experienced the magic yet this year and for the Southport Weekender family, there are two more instalments left on the calendar. While October brings Heritage Weekender, the next event coming up on the 30th August presents CAMELOT in Chorley, Lancashire. There's no doubt CAMELOT sounds like a lot of fun. The event occurs at Park Hall situated in a stunning woodland setting with accommodation on site, starting at 1pm on Saturday until 6am the following day. There's a Jamaican BBQ continuing the Carnival vibes throughout the day and great soundsystems, plus quality decor to the get atmosphere right, but ultimately it's the music that is the most important ingredient in the mix at Southport Weekender events. We've got the essentials all featuring at CAMELOT with the Connoisseur's Corner hosting legendary Southport Weekender residents Terry Jones, Bob Jeffries, Colin Curtis and Richard Searling who always know how to rock the crowd, plus the soulful sounds of The Unabombers and an exclusive disco set from DJ Spen. In the Funkbase, playing urban flavours who really know how to mix classics with bangers, are Bigger, JP, Ronnie Herel and the fantastic Trevor Nelson. Meanwhile in the Powerhouse fuelling the UK-Chicago connection are London titan Grant Nelson and deep house maestro Ron Trent; expect an awesome display of DJ magic and house music. Later on in the the evening, folk will be heading down to the on-site nightclub to get down to the sounds of Dimitri From Paris before The Basement Boys (Karizma, DJ Spen and Teddy Douglass) take us to church with a full live performance from Jasper Street Company who were amazing at the 50th. Southport 50th was always going to be special. Every year Southport Weekender comes around again and with so many mind blowing gigs and sets we've seen throughout its history, it would be fair to assume Alex, Dave and the rest of the Southport Weekender family couldn't top it off again, but my gosh they did! It was an epic weekender. The history of Southport Weekender has been inspirational to many lovers of soul and unity. That's why so many American artists, who have influenced dance music, always return back to get a slice of this unique melting pot. David Morales, Derrick Carter, Kerri Chandler, Kenny Dope, Jazzy Jeff, as well as legendary UK pioneers such as Carl Cox, David Rodigan, Trevor Nelson, Giles Peterson, Norman Jay and Mr Scruff were all in the house. Amazing live acts such as Faith Evans, Omar, Marcos Valle and Snarky Puppy added to the magic of what was a fantastic weekend. Arriving on Friday, it was hard not to get swept away with the excitement but with the After Parties and so much to see, it was best not to burn out too soon. Brand New Heavies in The Connoisseur's Corner was a perfect way to start the weekender. They always know how to win the Southport Weekender crowd with their great display of funk musicianship immediately getting the dance floor moving. With Suncebeat and now two more events this year - one at Camelot and a special nostalgia gig back at the original Pontins in Southport - there were plenty more opportunities to experience the good vibrations of the festival. There's no doubt anyone who's been to Suncebeat knows how good that event is, and that I'm sure will be even more prolific this year due to the tragic death of Frankie Knuckles, who was going to headline Suncebeat this year. As the pace of 2014 quickens, only one thing is on our mind - and that's the great party that occurs every year at Southport Weekender. The 50th celebration of this sensational event is just weeks away and we are about to experience what SPW does so well in what looks to be the best so far. The thought of heading down to Minehead again so soon is truly thrilling. The world continues to spin, seemingly faster than ever these days, so we have to be sure to allow space for good times and that is always guaranteed at this epic weekender. No matter what inspires you from your time there, you always take home that much appreciated and very special slice of soul each year. There's nowhere else in the world quite like it and that's why we see so many cutting edge international artists eager to play at Southport Weekender and continuing to return with another tune to drop. Obviously the 50th is going to be particularly special with so many soul stars and real legends such as Chakka Khan performing, and a remarkable DJ line-up setting the scene for a fantastic summer. Reflecting on the 40th anniversary event in Pontins 8 years ago, it's crazy to think how much has changed in the world of music. Alas, it's only right to mention those who are no longer with us and who have added so much to the Weekender - I refer, of course, to the shocking news of the passing of Godfather of House Music Frankie Knuckles. In this cycle of 10, the events of Southport Weekender went from 2 to 1. The circumstances have been challenging and dramatically changing for sure. Southport Weekender has now settled at Butlins and, despite the changes, the commitment and loyalty for this world-acclaimed event remains unabated and respected by all. Southport Weekender celebrated their 25th anniversary as a soul music, dance weekender at Butlin's in Minehead, Somerset, UK. This a phenomenal achievement for a group of like minded soul music lovers, who caught the spirit of soul and unity consciousness, to create a premier event that still cuts it in our modern day. The organisers should really be proud of themselves for this great achievement and credit to all of the people connected with this leading event. Obviously Southport Weekender wouldn't exist if it wasn't for the music and the quality was evident as soon as the line-up was announced. With amazing acts such as Jill Scott, Patrice Rushen, Soul II Soul to name but a few and a host of outstanding DJ's, there was no way the 25th anniversary wasn't going to improve the quality standard. It must be incredibly hard to continue raise the bar each year but SPW48 certainly did! 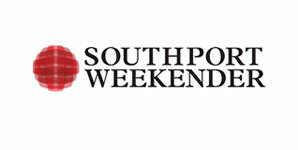 SOUTHPORT WEEKENDER IS BACK! A year on from its first party at Butlin's in Minehead, Southport Weekender celebrates its 25th anniversary as a soul music dance event! What a fantastic achievement for Alex Lowes and Dave Gardener, who's vision 25 years ago, seeing a shift in fashion with a new emerging 'soul' scene, that has become a guaranteed sell out event in our current time! It's amazing to think that people at the first Southport Weekender event will be attending Butlin's, Minehead this May and that artists who have shaped the course of modern music continue to return back to this premier music haven! What's clear to me in this modern time of change and uncertainty is that Southport Weekender is fixed firmly in the hearts and minds of 6500 people who LOVE this event, whose support and loyalty has kept Southport Weekender established as a permanent yearly fixture in the UK, ensuring the best quality in the world! Southport Weekender release Vol. 9 to their already respected back catalogue of quality mixes. The SPW family celebrate their 25th Anniversary in May 2012 held at Butlins Holiday Resort in Minehead. It's a great achievement for any promotion, but what makes this event so relevant and popular 25 years on is its original passion and love for soul music that has progressed and evolved. The history of soul music and synergy between the UK and the US is certainly instrumental to what we hear in the mainstream charts these days and Southport Weekender has supported that journey for the last 25 years. It's no wonder the best DJ's and producers in the world are a part of the SPW family and always ready to drop a mix on the Southport Weekender Vol. series. With star DJ's such as Kerri Chandler, Gilles Peterson and Jazzie B having played previous mixes, we see the welcome return of UK underground legend Mr Scruff and Brooklyn's creative and world recognised talent DJ Spinna, playing his first mix on this collection.